If you still haven’t inspected your roof after Hurricane Irma, you’re not alone, but you are almost certainly at risk. 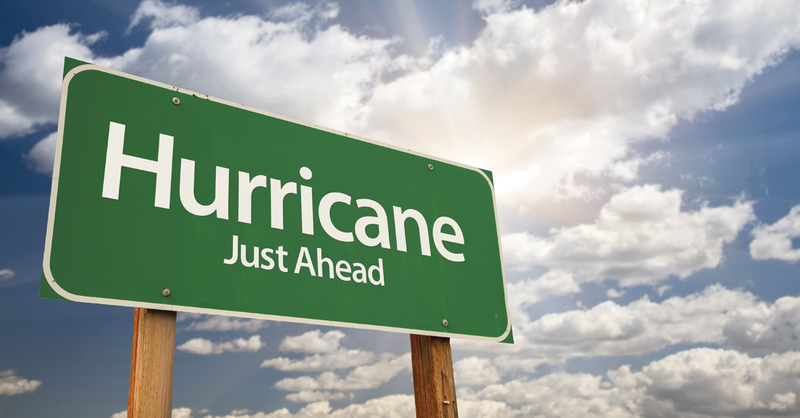 Now that hurricane season is over, it’s time to assess your damage and prepare for next year. Here are 5 tips for preparing your roof for upcoming hurricane seasons. Get a roof inspection – Select a credible contractor that offers a free roof inspection. While you may think you can spot potential damages on your roof, an expert eye will be able to point out specific vulnerable areas. Make sure they check the condition of your shingles, gutters, chimney, and anything else that is attached to the roof. If the inspection shows that a repair or replacement is necessary, find at least one more company to get a competitive bid from. Install Hurricane Straps – Also known as “roof tie-downs,” hurricane straps are now a requirement within Florida’s building codes. If you have an older house, you may not have hurricane straps installed. They’re essential when you’re living in tropical environments. They are typically galvanized steel brackets that connect a rafter to a stud. Installing hurricane straps can be a pain as they lie beneath your walls. However, the cost of installing hurricane straps will pay off in the long run in the case that a devastating hurricane comes through. Trim Surrounding Trees – One of the most dangerous, yet overlooked steps you can take to ensure roof safety during a hurricane is to trim the trees in your yard. Often, the first thing that you’ll notice during a hurricane are tree branches spread all over the streets. These branches can impale a roof and if heavy enough, they are extremely dangerous to your roof’s structural integrity. We suggest that you cut down all loose or vulnerable branches before hurricane season, and make sure that branches are never within six feet of your house. Keep your gutters & drainage system clean – Surprisingly, your roof’s drainage system plays a massive role in mitigating storm damage. Hurricanes produce incredible amounts of rain, and without the proper method of disposal, water can back up and leak into your house through vulnerabilities in the roof. Ensuring that the gutters are cleared will allow water to flow effectively off your roof. Review Insurance Policy – This is probably the most important step, as you can never predict the brutality of a hurricane season. Unfortunately, some storms are too strong for any of the above safety measures, and your last resort is to ensure that you’re covered financially. Choose an insurance policy that will cover most or all of the full cost of construction of a roof replacement. Contact your provider and determine if you’re covered against hurricanes and floods. Above all, make sure that you take the proper steps to ensure your safety during hurricane season preparations. Once you have a plan to keep yourself and your family safe, take a look at your home or building and consider what precautions you can take. Your roof protects everything underneath, so take time to make sure it is in top shape. Contact your local professionals at Hi-Rise Roofing for a free inspection before hurricane season comes back around!